"The year is born ! the year is born! The past is numbered with the dead! What thoughts arise on New Year's morn! What days—what friends— what hopes are fled! New cares—new dangers are in view." "The world's history commences a new chapter to-day," proclaimed The Friend, published in Honolulu, on the first day of 1856. "Individuals commence anew the journey of life. It is a fit season to break off old and vicious habits, and make good resolutions for the future." History Education Hawaii, Inc., the state council of the National Council for History Education (NCHE), extend its aloha and best hau'oli makahiki hou wishes to all our members, friends, partners and colleagues around the world as 2016 dawns on our horizon. Each new year comes with promises and challenges. We're optimistic that our best days lay ahead. 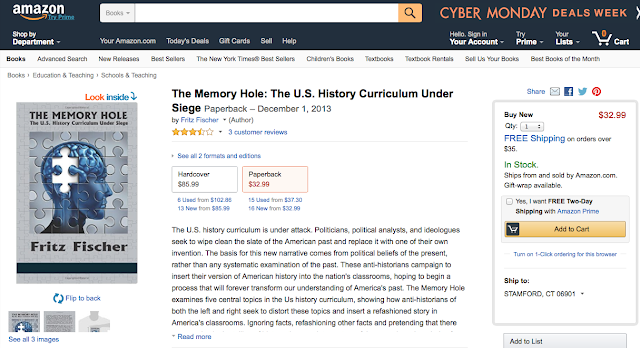 Thank you very much for sharing our journey in promoting history education and supporting history teachers, students, independent scholars and history buffs from all walks of life. We're glad to have you aboard! Mahalo nui loa! 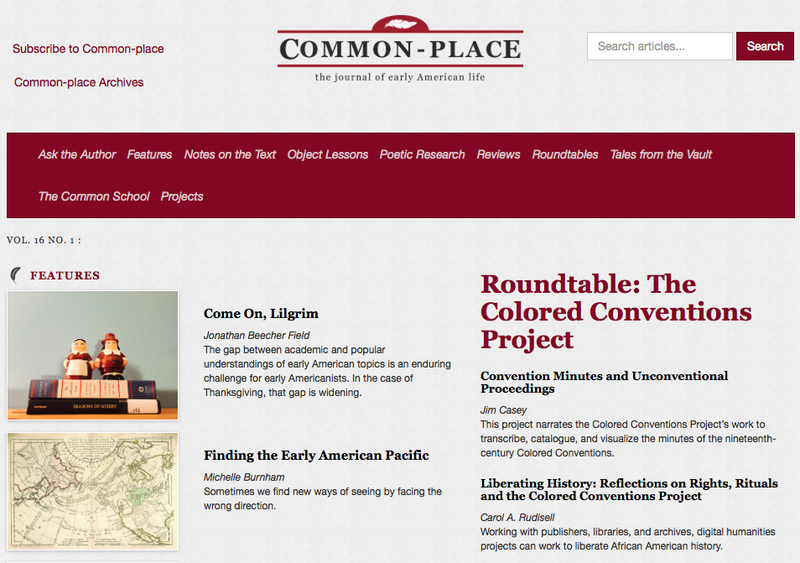 The American Antiquarian Society and the University of Connecticut have released the newest issue of the online journal of history, Common-Place. The new issue asks us to consider the work of recovering lost stories and writing new histories. Our Poetic Research column features a collection of reflections on the Sand Creek Massacre of 1864 and the continued institutional resistance to acknowledging the horror of the event. Jonathan Beecher Field takes Publix’s cheerful Thanksgiving salt & pepper shakers as an occasion to reflect on the buried memories of violence and chaos that mark American holiday celebrations, past and present. A roundtable of scholars on the innovative digital Colored Conventions Project describes the difficult but exhilarating work of recovering nineteenth-century African American stories that have been neglected, and the need to avoid the biases that helped to obscure them in the first place. Martha J. Cutter shares new information about Henry “Box” Brown’s career as a street magician who would creatively re-enact his remarkable escape into freedom. 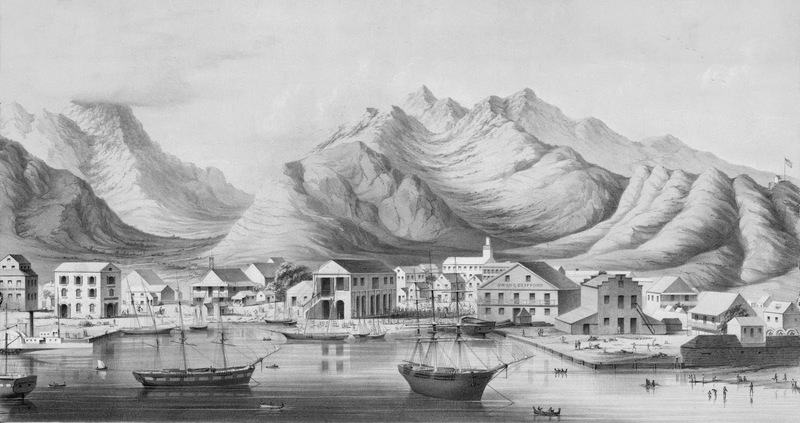 Michelle Burnham describes her own discovery of the Pacific’s presence in the early American literature we’ve come to consider Atlantic production, Matthew R. Halley provides a first look at previously unstudied letters by John Audubon, and much more! 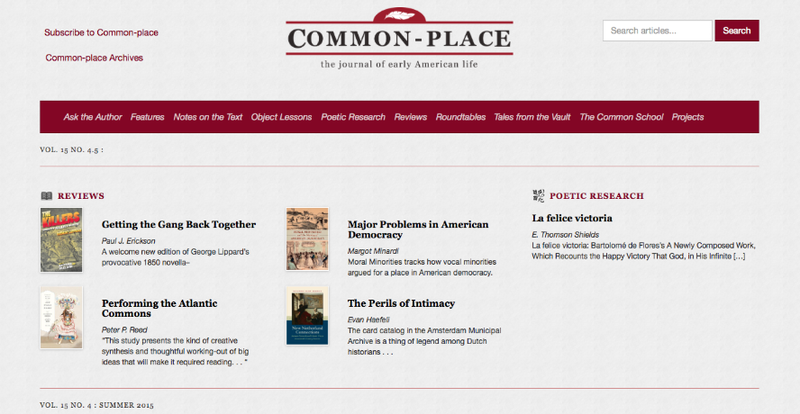 www.common-place.org is published by a partnership of the American Antiquarian Society and the University of Connecticut. Editors, Anna Mae Duane and Walt Woodward, University of Connecticut. As 2015 is coming to an end and you consider any annual giving, it is our sincerest hope that you will consider making a year-end tax-deductible contribution to History Education Hawaii. Did you know that we receive no government funding for programs or operations? It’s true. We rely solely on memberships, private donations and ticket sales. We need your help in our mission to promote history and history education with our allies at the National Council for History Education (NCHE). Your contributions make our programs possible. Every dollar you send is vitally important. Please give whatever your means permit. Please go to our web site to make a secure online donation, or send your check to History Education Hawaii, Inc., P.O. Box 183 Honolulu HI 96810-0183. Seasons Greetings with Aloha! Mele Kalikimaka! 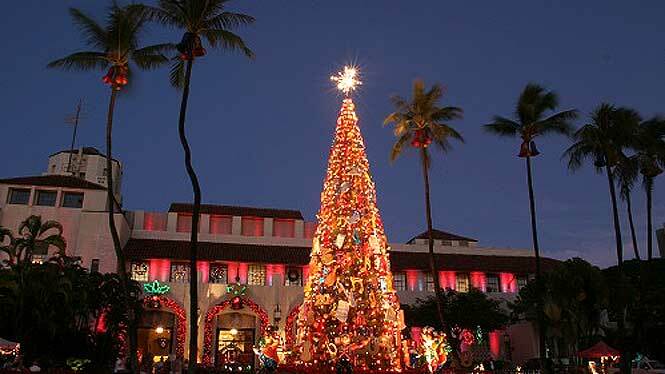 Mele Kalikimaka! Seasons Greetings with Aloha! At this time of remembrance and reflection, may you find joy, contentment, illumination and hope. May we see -at last- peace on Earth, goodwill to all. Whatever your tradition may be, we wish you a safe and wonderful holiday season. 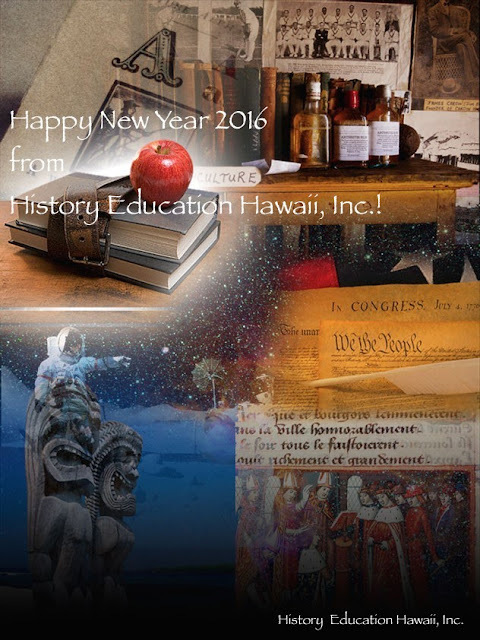 History Education Hawaii extends its aloha to you. We just received news of an important professional development opportunity for intermediate and high school teachers from the King Kamehameha V Judiciary History Center in Honolulu. Want to know more about American democracy? Are you interested in tackling controversial issues in the classroom? Do you want a deeper understanding of the evolution of democratic ideas in Hawaiʻi? Want help connecting current events to constitutional issues? Are you comfortable using the QFT with your students? Based on the acclaimed We The People: The Citizen and the Constitution curriculum and funded in large by a United States Department of Education SEED grant, this series of professional development workshops will be challenging and rewarding. The workshops are designed for middle and high school Social Studies teachers, with preference given to teachers in schools with significant concentrations of high-needs students. Accepted participants must agree to attend all three workshops during the Spring 2016 semester. 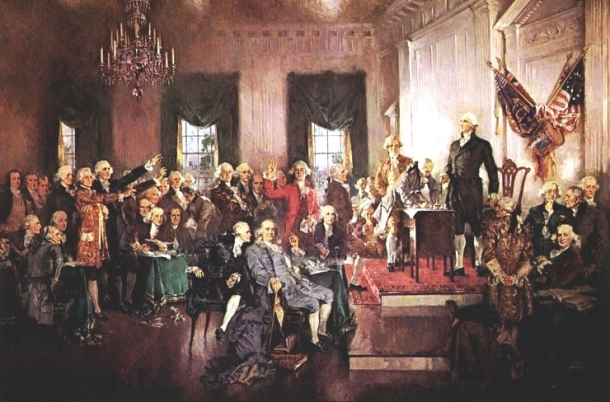 Implement 40 hours of instruction using We The People: The Citizen and the Constitution curriculum in your classroom including a simulated congressional hearing. This requirement can be fulfilled anytime before the end of the Fall term 2016. Limited to 15 participants, including eight neighbor-island teachers, for whom transportation, meals, and housing on Oʻahu will be provided. The James Madison Legacy Project is a three-year nationwide initiative of the Center for Civic Education aimed at increasing the number of highly effective teachers of high-need students; increasing the achievement of students in attaining state standards in civics and government; and serving the self-identified professional development needs of schools with significant concentrations of high-need students. The King Kamehameha V Judiciary History Center is implementing this project in Hawaiʻi. The James Madison Legacy Project is made possible by a grant from the U.S. Department of Education. History Education Hawaii is part of an outstanding network with the National Council for History Education. With our allies, HEH works to build bridges between those who share a common passion for historical thinking. With HEH, history teachers, historians, students and history buffs, you'll find information on impressive professional development opportunities, thought-provoking conferences, lyceums, publications, and information on a wide-range of historical issues. Be part of community that is linked together by a commitment to excellence in history education. E komo mai! Join History Education Hawaii today! 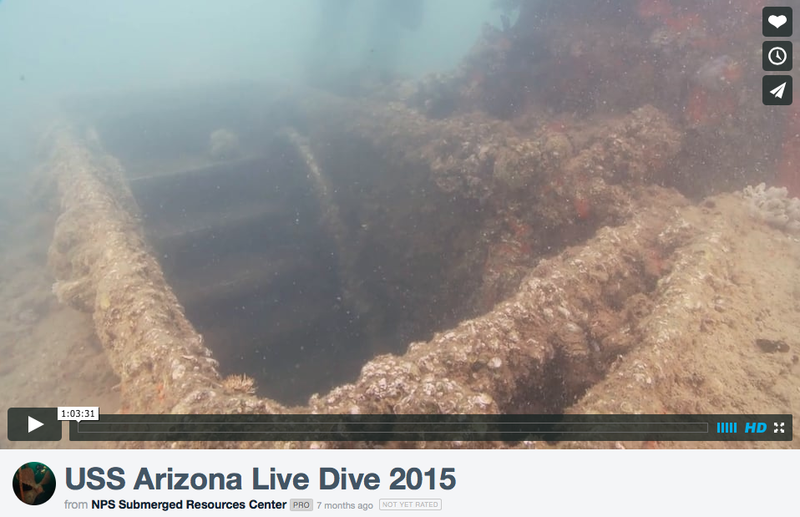 Did You Miss the USS Arizona LiveDive? Did you miss the recent USS Arizona LiveDive this week? We understand that everyone has a busy schedule. Good news! Past LiveDives by the National Park Service are archived online, and available 24/7! For example, go to this link for the October 17, 2015 event commemorating the 99th anniversary of the USS Arizona's commissioning. Here is another link to the April 23, 2015 web cast from the USS Arizona. 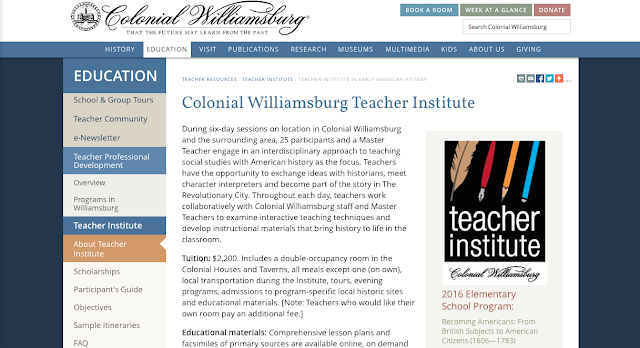 Colonial Williamsburg Teacher 2016 Institute Wants You! "Hi Jeffrey! We are looking for some history/civics teachers to receive fully funded scholarships to our 2016 summer Institute. This is about a $3000.00 scholarship.. Any assistance you can provide in “getting the word out” would be greatly appreciated!" That's what History Education Hawaii is here for! Please go to the web link and learn more. Dale wants to hear from you! 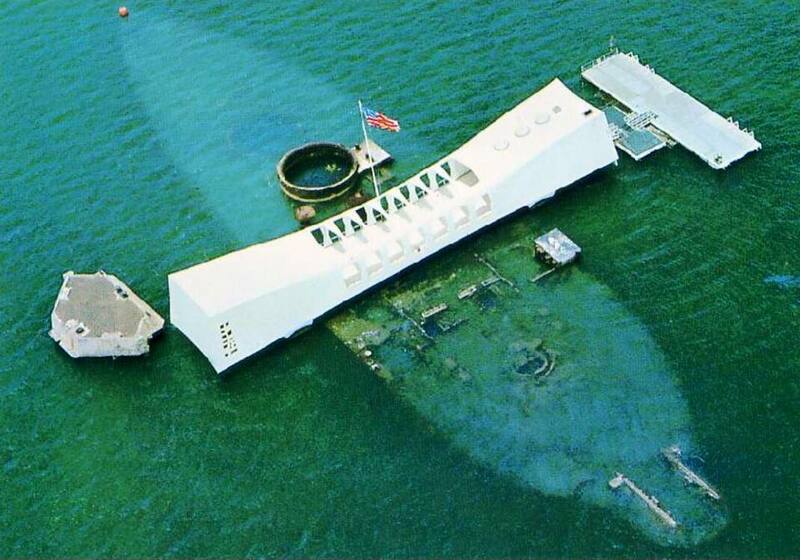 It was 74 years ago today that Pearl Harbor, Hawaii was attacked, "a day which will live in infamy." Please pause to remember and honor those who lost their lives that day -and salute those who continue to flight for our freedom. Go to this link to view National Pearl Harbor Remembrance Day events. Go to this link for official live streaming. We're delighted to report that one of our former board members, Dr. Dave Wang of New York City, has been making inroads into Latin America through his research. 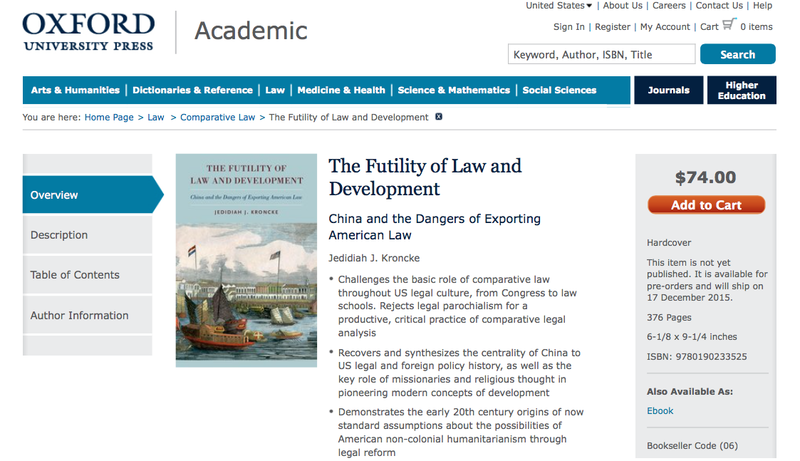 Dr. Wang is globally famous for his in-depth research on the influences of Chinese civilization on the founding of the United States of America and the American Founders. His blog site is here. "I just found that In his new book, The Futility of Law and Development published by Oxford University on November 24, 2015, Dr. Jedidiah J. Kronche, a well-known Professor from FGV Sao Paulo School of Law (Brazil) cited at least eight of my published papers on the US founding fathers used Chinese Civilization to develop a new America." Join World War II Valor in the Pacific National Monument’s Chief of Cultural Resources Scott Pawlowski underwater on the USS Arizona on December 8, 2015. We will answer questions live from the theater audience and Facebook! New shipboard locations previously not shown will also be featured. Our goal is help you experience the wreck as it is today, illustrate life aboard the vessel in battle and peace, as well as understand the world-class science behind managing this hallowed ground for future generations. The theater will open at 3:45 pm HST. The dive will start at 4 pm HST. Visitors can watch the live broadcast in the visitor center theater (150 walk-in seats), or online via Adobe Connect. There is plenty of free parking at the Pearl Harbor Visitors Center located at 1 Arizona Memorial Place, Honolulu, HI 96818. 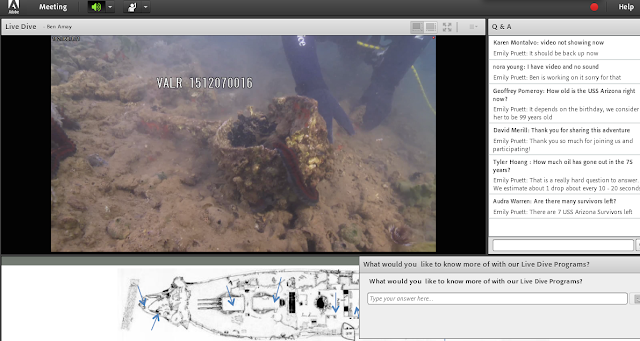 On October 17, 2015, our ParkEd team partnered with the National Park Service Submerged Resources Center to bring you another Live Dive presentation. Our Chief of Cultural Resources went underwater on the wreck of the USS Arizona to learn about the damage to the ship from the December the attack on Pearl Harbor, and modern-day science and conservation efforts being supported by the National Monument. Visitors watched the live broadcast in the visitor center theater, or online via Adobe Connect. To see the recorded footage, click here. 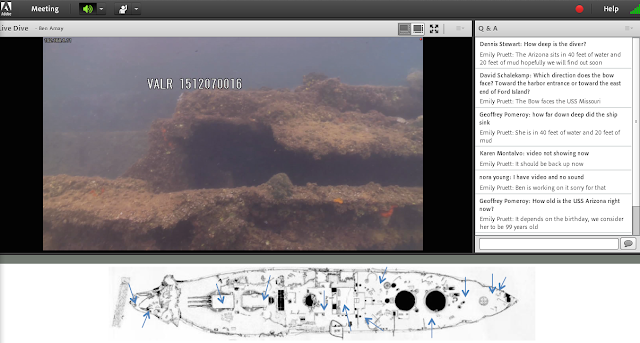 In April, 2015, our ParkEd team hosted a live broadcast underwater, as our Chief of Cultural Resources gave a tour of the USS Arizona as she rests today on the bottom of Pearl Harbor, beneath the USS Arizona Memorial. Viewers watching live submitted questions to the dive team and had them answered on-air. You can watch the recorded version here, and stay tuned for updates on future live dive events! Dr. Fritz Fischer sits on the Board of Directors of the National Council for History Education. He is a professor at the University of Northern Colorado. 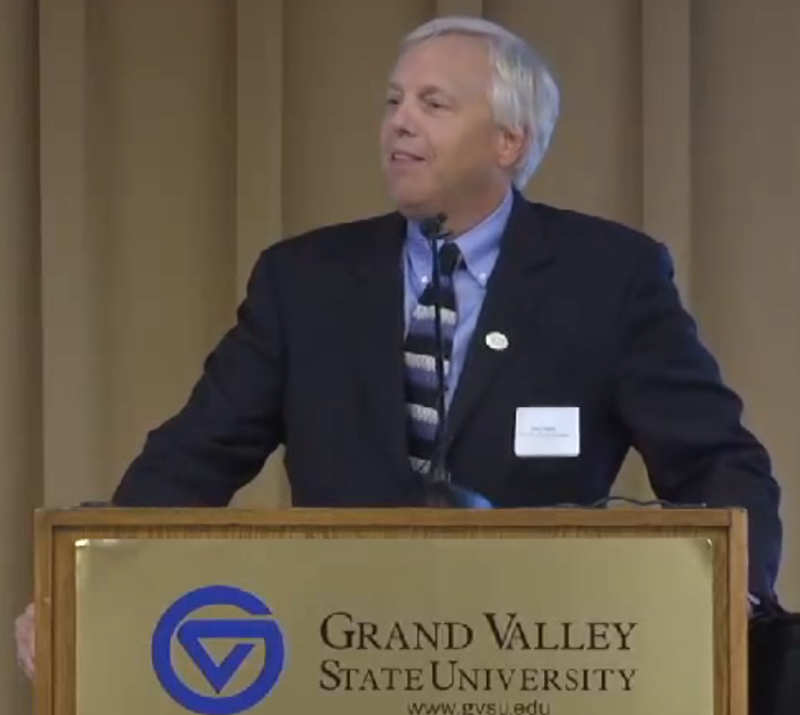 This is his presentation at the 41st Annual Great Lakes History Conference at Grand Valley State University, Grand Rapids, Michigan on October 9, 2015. This conference was organized by the Michigan Council for History Education. 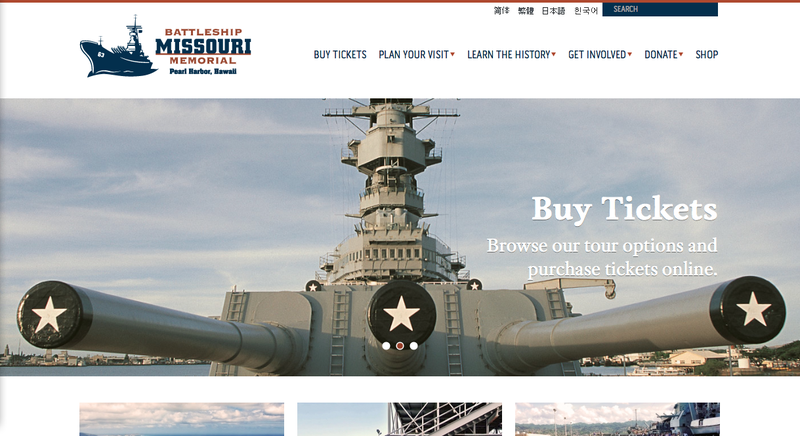 Welcome Battleship Missouri Memorial -Our Newest Institutional Member! History Education Hawaii, Inc., is pleased to announce our newest institutional member is Battleship Missouri Memorial at Pearl Harbor, Hawaii! 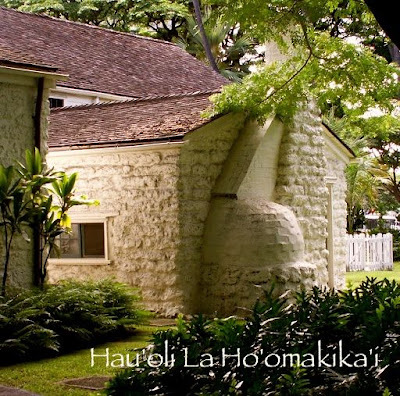 Institutional memberships with HEH, the Hawaii council of the National Council for History Education, are welcomed and encouraged. Please click this link to our Membership page. Institutional membership with History Education Hawaii helps strengthen our joint pursuit of history education advocacy, professional development, research, and information. It's all focused on highlighting our rich history inside and outside the classrooms in Hawaii and the Asia-Pacific Rim. Please contact us for further information on institutional memberships and the benefits they bring. You'll be glad you did! History Education Hawaii, Inc., is pleased to announce the winners of the Oahu History Bee and Bowl. The tournament was held at 'Iolani School on Saturday, November 28. Students from Iolani School, Punahou School, Kalani High School, Pearl City High School and Hawaii Baptist Academy participated. We send our congratulations to teams 'Iolani A and 'Iolani C who are the winners of the Varsity and Junior Varsity History Bowls. Congratulations are sent to 'Iolani students Darwin Peng and Matthew Sohn for their victories in the Varsity and Junior Varsity (JV) Bees. We extend special thanks and appreciation to 'Iolani School for hosting this event again. We also appreciate the parents, faculty and volunteers who assisted in making things run smoothly. Most especially, we commend the hard work and tireless dedication of Mr. John Bickel of 'Iolani School. Thanks, John! Mark your calendars! The National History Bee and Bowl will be holding at least one more tournament during this school year, most likely on a Saturday between January 30 and March 19, 2016. The 2016 National Championships will be held on April 22-24 in Arlington, Virginia and Washington, D.C.
Ready? Get set! Go! The Oahu History Bee and Bowl at ‘Iolani School is on! Ready? Get set! Go! The Oahu History Bee and Bowl at ‘Iolani School is on today in Honolulu. We're delighted to welcome tournament coordinator and director, David Madden, founder of the National History Bee and Bowl. Our special thanks goes to John Bickel for organizing today's competition. Mahalo, John! You are the best! During the lunch break students will have the opportunity to take the National Qualifying Exams for either or both the US Geography Olympiad and the US History Bee. We've shared a few photos of previous competitions held in Hawaii. This is a very popular program we're glad to support and welcome. Hau'oli La Ho'omakika'i! At last, Thanksgiving is here! On behalf of History Education Hawaii, Inc., and the National Council for History Education, we wish you a very Happy Thanksgiving. During this special season we reflect on our gratitude and express our aloha to all. We are especially thankful for your partnerships through our various and growing number of programs, all designed to support you, history and history education. We pause to extend our heartfelt gratitude to those in the military services in Hawaii and around the world who defend our freedoms, often away from family and loved ones. ANNOUNCEMENT: By request, History Education Hawaii's January Winter Lyceum of History scheduled for January 9, 2016 has been postponed. History Education Hawaii, Inc., the official state council in Hawaii of the National Council for History Education (NCHE) invites workshop and presentation proposals for its inaugural Winter Conference in Honolulu. HOURS: Admission Time 9:00 a.m.
SUBMISSIONS: DEADLINE EXTENDED TO WEDNESDAY DECEMBER 23, 2015. 9:00 p.m. HST. Please submit via email a 1-3 paragraph summary with title, your name(s), a short autobiography, equipment/technology requirements and contact information. Submit your proposals to historyeducationhawaii@gmail.com. Thank you! Presenters will be notified on or before MONDAY, December 28, 2015. *Note: online/wifi access for laptop computers is not available inside the Hawaii Judiciary History Center. REGISTRATION: Until Wednesday, December 23, 2015, History Education Hawaii is offering a VERY EARLY BIRD SPECIAL at US$75 for HEH members; US$100 for non-HEH members. *CLICK THIS LINK TO REGISTER ONLINE. Each registration covers one individual. A light lunch will be served. You may also mail a printed check for the amount of US$75 (HEH members) or $100 (non-HEH members; includes one-year membership) until December 16 to: History Education Hawaii, P.O. Box 183, Honolulu HI 96810-0183. Associate Professor of History, Interim Dean for Military Campus Programs at Hawaii Pacific University, President of the Hawaii Civil War Roundtable, and History Education Hawaii's History Educator of the Year. Dr. Vance earned a BA in History from Boise State University, and MA in Diplomacy and Military Studies from Hawaii Pacific University, and a Doctor of Education degree from the University of Southern California. 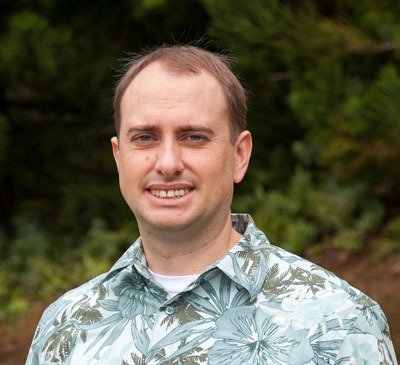 His research interests include the role of Native Hawaiians in the American Civil War, history education via distance learning settings, and World War II and the Pacific. He is a former history instructor at Wayland Baptist University's Hawaii campus, Embry Riddle Aeronautical University, conducted battlefield tours of Hawaii's World War II military sites for Home of the Brave Tours, and has been a leader in bringing history to life at the Battleship Missouri Memorial and the Bishop Museum. Dr. Vance is the 2010 winner of the Golden Apple Award for Distinguished Undergraduate Teaching at Hawaii Pacific University. The purpose of this first-ever winter conference is to examine the relations between the study of history and education. Proposals are welcomed that center on a variety of topics and interests with emphasis on historical events and circumstances throughout Hawaii and the Asia-Pacific Rim. How can we learn from our interconnected histories to solve contemporary and future challenges? We also welcome presentation proposals on other areas of historical and educational interests. QUESTIONS AND INQUIRIES: Please contact History Education Hawaii, Inc., at our email address, historyeducationhawaii@gmail.com, or call (808) 721-0306. Take a breather at this busy time of the semester with Common-place’s new issue. Our book reviews also offer much food for thought about the workings of violence and empire, as Peter Reed reviews Elizabeth Dillon’s New World Drama, Paul Erickson reviews a new edition of George Lippard’s The Killers, and much more! and a hands-on experience on the Erie Canal. Fort's original War of 1812 flag. a workshop led by their Director of Library and Archives on how to best use library resources for research and the classroom. Niagara Frontier's guided bus tour of Buffalo that will feature visits to several sites in the historic Michigan Street Heritage Corridor. and the American Observation Tower. New York State Power Vista, Niagara River Gorge and Goat Island. Join NCHE for an evening at the Niagara Falls Culinary Institute. The event will include access to the school including guided tours and their retail space. You'll enjoy heavy hors d'oeuvres and a cash bar as you mingle with fellow attendees. It's the perfect way to unwind after a fulfilling day at the conference. We enthusiastically invite your support of and participation in this year's gala. 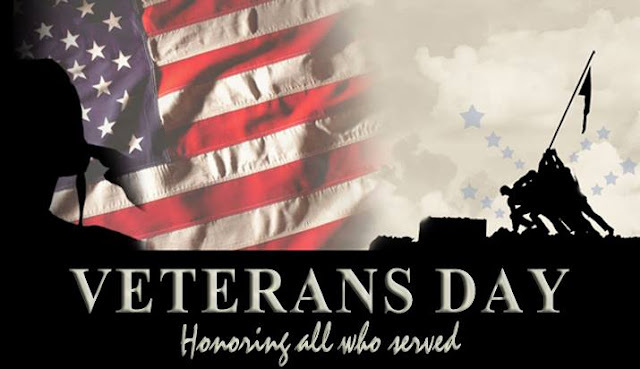 Your presence will richly honor all those who have served and continue to serve our country. Please join us as we honor the past and inspire the future inside our historic WWII Hangar 79. Go to this link to RSVP and register. Traveling to Oahu to attend? 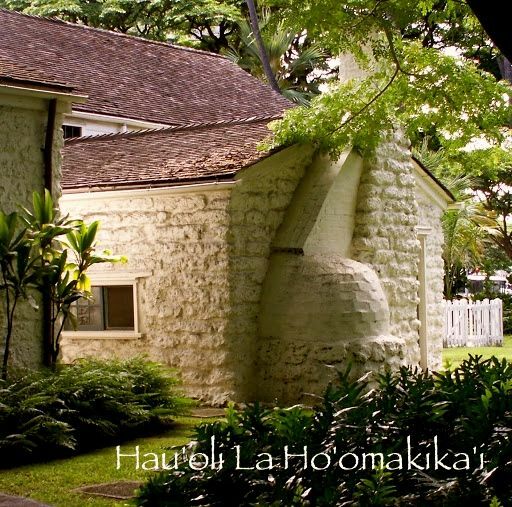 Ask about our room block at The Royal Hawaiian and our scheduled historic sites tours. For additional information please go to this link. You may also contact Carol Greene at 808-441-1006 or by email at Carol@PacificAviationMuseum.org. History Education Hawaii, Inc., is pleased to announce that the National Council for History Education (NCHE) has developed a core of web-based professional development opportunities that it hopes will provide a continued sense of learning and community. The first webinar titled Churchill for Schools: Teaching Modern World History using Churchill Archives will launch on Sunday, November 8 at 7pm EST. 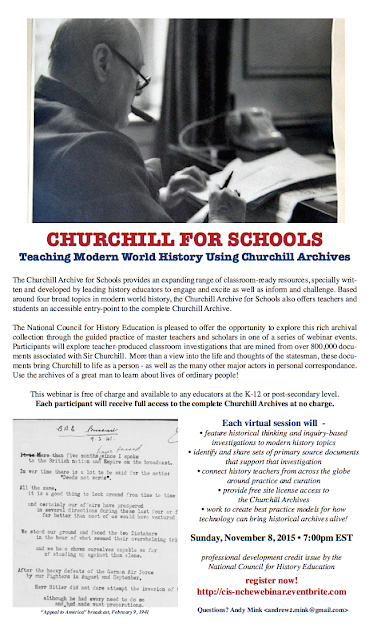 This free web-based workshop will introduce teachers to the primary source materials of the Churchill Archives and provide a free subscription to their school. See the posted flyer featured on this page. Go to this link to register. 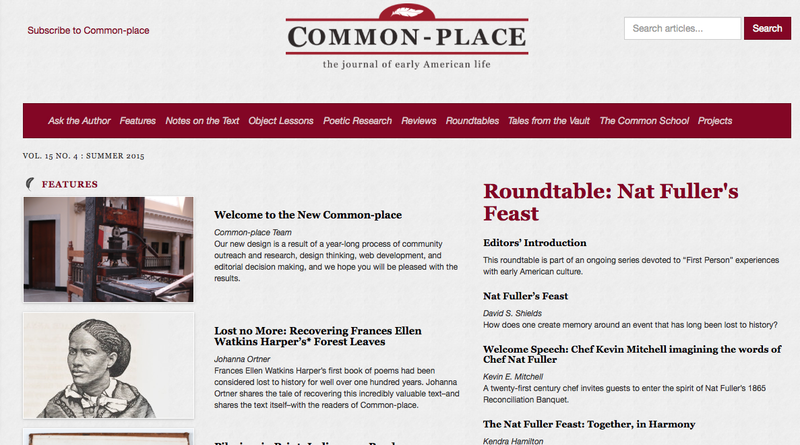 This new issue of Common-place is full of surprises. To begin with, we’re showcasing an entirely new look. Come check out our new web platform, crafted by the Digital Media & Design Department at the University of Connecticut. As the year progresses, Common-place’s exciting new look will be enhanced by a host of functions designed to make our journal easier to search, to teach and to share. And you’ll certainly find plenty to read, teach and share in this issue, which features the discovery of Frances Watkins Harper's first book of poetry, Forest Leaves. Johanna Ortner’s article makes the entire text--long thought lost to history--available to the public. David Shields leads another type of conversation between past and present as he heads a roundtable gathering historians, chefs and scholars to discuss their reenactment of an 1865 Charleston feast dedicated to interracial reconciliation. Keep reading to encounter Phillip Round leading a conversation on the many lives of Pilgrim’s Progress, Maggie Cao tracing the circulation of Chinese portraits of George Washington, Lucy Biederman channeling Mark Twain, and much more! Join History Education Hawaii on Saturday, January 30, 2016 on board the Battleship Missouri, Pearl Harbor, Hawaii. Living History Day coincides with the 72nd anniversary of the USS Missouri's launching. Go to this link to the Los Angeles Times to read about the 70th anniversary celebrations. Come see displays and exhibits from other historical organizations and active military commands. 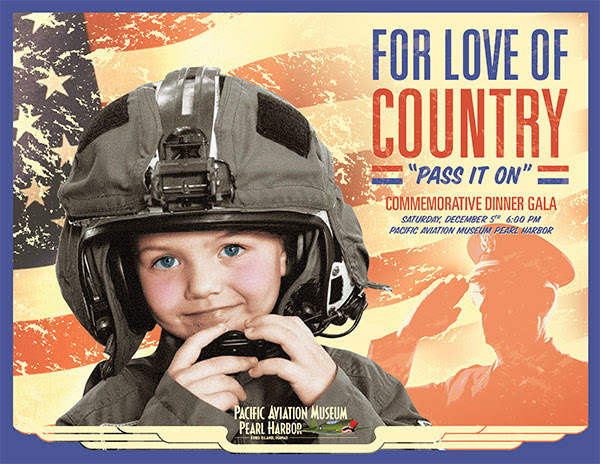 Enjoy displays of military vehicles, memorabilia and weaponry; bands playing patriotic music; oral history presentations; people dressed in period costume from the World War II era; static displays from active-duty military units, and a vintage aircraft flyover. Free admission for kama'aina, military and USS Missouri Memorial members. For more information call 808-455-1600, ext. 250, or email DavidS@ussmissouri.org. It’s back! The National History Bee and Bowl (NHBB) returns to Hawaii! For the 2015-2016 school year, NHBB expects to hold approximately 100 tournaments across America at the high school level (i.e. Varsity and Junior Varsity), leading to its 2016 National Championships in Arlington, VA and Washington, DC on April 22-24, 2016. You and your school or homeschool association are invited to take part in the fastest growing academic competitions in the USA and around the world! The Oahu History Bee and Bowl will be held at ‘Iolani School in Honolulu on Saturday, November 28. This tournament will run on the C Set of questions. History Education Hawaii, Inc., is a proud to return as a co-sponsor of the Oahu tournaments and the Hawaii History Bee and Bowl. We are accepting donations to fund lunch for the students and staff on November 28. Please send your printed checks to History Education Hawaii, Inc., P.O. Box 183, Honolulu HI 96810-0183. You may also submit donations online. Your donations are tax deductible to the extent allowed by law. During the lunch break, students will have the opportunity to take the National Qualifying Exams for either or both the US Geography Olympiad and the US History Bee. The cost is $10 per student per exam. Students who take one exam are highly recommended to bring a lunch or have someone obtain lunch for them. Students who take both exams should definitely plan on one of these options. Thanks for your interest in our tournament! History Education Hawaii and the National Council for History Education hope that you and your school’s team will join the fun!